Maureen Ivusic has nearly 20 years experience in editing and proofreading. After she earned her Masters in Rhetoric and Composition from the University of South Florida, Maureen taught English at the college, high school, and middle school levels. When her six-year-old son developed eczema, she went on a journey into holistic nutrition and eventually several certifications in nutrition, including the David Wolfe Nutrition Certification. 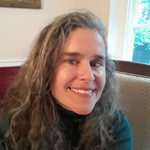 Now a health coach in her community, Maureen contributes to DavidWolfe.com by editing articles and finding scientific support for the topics discussed.